This right here is a great summer read! Racing the Sun follows Amber (previously seen in Where Sea Meets Sky) to Italy where she takes a job teaching English to two Italian children who are under the care of their dark and brooding older brother. She is searching for herself, life, and anything else that comes her way. We get to watch Amber grow in so many ways; I found it easy to invest myself in her life and wanted so much for her. And Derio…oh Derio. I like how his path isn’t a straight one. His life pre-Amber had many roadblocks but his life with her is as winding as I imagine some of the roads are on the island of Capri. The relationship between Amber and Derio is full of great love but even the greatest loves have obstacles to conquer. My only critique is that I wish we were able to see more of their interactions within the first two weeks of Amber’s employment. The book doesn’t necessarily rush from point A to point B as far as their affections go but I wanted to experience more of Derio’s evolution from premature-curmudgeon to a man no longer in charge of his heart. Karina Halle has a knack for creating vivid scenes on the page that elicit stunning images in the mind. I feel that the scene descriptions in Racing the Sun are some of her best. The scenery is just as much a main character as Amber and Derio. The sights are described in brilliant detail without getting too carried away. I particularly love that Halle has been posting pictures from her research trip to Capri; I see these photos and they so clearly match up with the visuals I was able to form in my head. 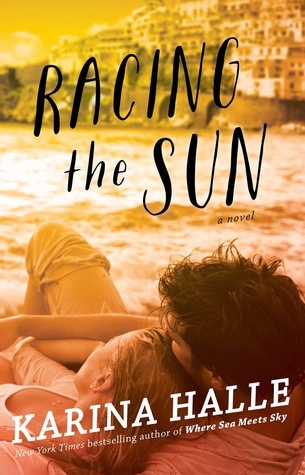 Racing the Sun started out as a fun beach read for me, with beautifully detailed settings and loveable, fun characters. Then things got real. Chapter twenty, man. It hit me hard. I couldn’t stop thinking, “I know this. I know this pain. This is very real to me.” Amber starts dealing with some heavier things at this point. She gets pushed to the edge, perched precariously while waiting for the inevitable gentle breeze to blow her over. Halle manages to describe what is happening to Amber and what is going on inside of her brain in a way that brought up very raw emotions for me. Emotions I thought I was done with. The writing is so spot on for an individual in Amber’s situation. I found myself sitting in my driveway, watching my kids play, and weeping. It was frighteningly spot-on and therapeutic for my heart. This story is far more than I anticipated. It goes from something beautiful to something meaningful and I love that. This is more than a fun beach read (although it is perfect for that); this book has substance, depth, and life. I highly recommend picking this up this summer. 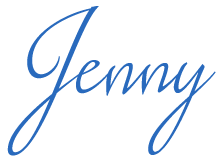 great review Jenny, makes me want to read this book right now!